My acquaintance with Jarek Waszczyszyn is no secret to the public – we live in the same city, have had professional relation for years, we meet from time to time at Janusz place, who's one of the Krakow Sonic Society hosts. And recently, after at least 10 years of this acquaintance, we've finally quit calling each other „sir” - it just happened. So yes, we know each other very well. I've been using his CD Players for years. It was a conscious choice and I never regretted it. Over the years I enjoyed its appearance less and less, and I was pretty sure it should have been changed but... well, nobody and nothing is perfect. On the other hand, I've never even tried to hide my reservations towards his loudspeakers and always honestly pointed out what I liked and what I disliked about his amplifiers and even CD Players. In my opinion only honesty can help the designer make better products. The reviewed player is supposed to step up to take place in the company's portfolio between Lektor Prime and Lektor Grand SE. By its looks it resembles the former, but many solutions were taken from the latter. 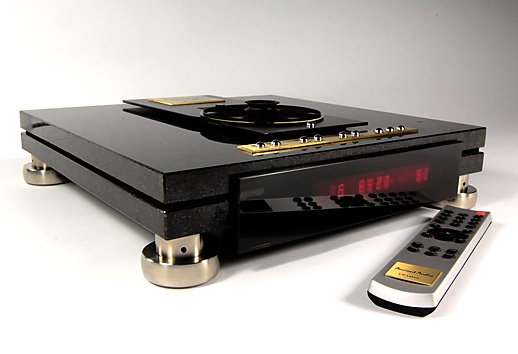 It is still a top-loader with tube output and an integrated preamplifier. And a unique design that places a CD on top of the device and outside of it. This solution was originally used (simultaneously) by Ancient Audio and Japanese 47 Laboratory. 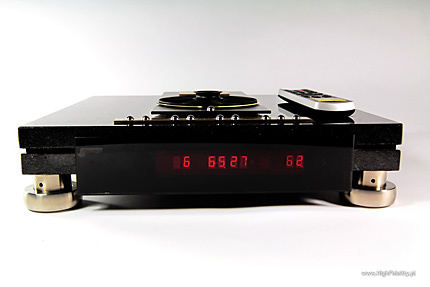 Later it was “copied” by Musical Fidelity A1008 (not manufactured anymore), ISEM (check HERE), Metronome Technologie (model Kalista Reference – but in previous version) and so on. Air has been a part of my reference system for more than a year. I think I got to know it pretty well. I have had a chance to compare it with several other players, although it surprised me with something – but I'll come back to that in a minute. I haven't experienced any trouble with its operations during that whole period, and the remote control, although rather standard, turned out to be quite handy. Clan of Xymox, Darkest Hour, Trisol, TRI 419 CD, CD; review HERE . Frank Sinatra, Nice’N’Easy, Capitol/Mobile Fidelity, UDCD 790, gold-CD; review HERE . Madeleine Peyroux, Standing On The Rooftop, EmArcy/Pennywell Productions [Japan], UCCU-1335, CD; review HERE . Thom Yorke, The Eraser, XL Records/Warner Music Japan, WPCB-10001, CD; review HERE . There is one problem with testing devices that are already a part of reference system as you can't reference it to your reference system... Each part of my reference system is supposed to be a “reference” device for all reviewed of its kind. Same reason forced me to spend much more time than usually when I was preparing a review of Soulution 710 amplifier for „Audio” magazine. I had to start with reviewing all the reviews with this amp as a reference to draw some universal conclusions. Exactly the same story goes with Lektor Air by Ancient Audio. As you all know I've been using this company's Players for last couple of years – previously it was Lektor Prime (reviewed in 2006 HERE), and now I use Lektor Air. Although I never claimed that Prime was the best player in the world, its very well balanced sound, its predictability, and finally its user-friendly approach – all that made it a great “reference player”. 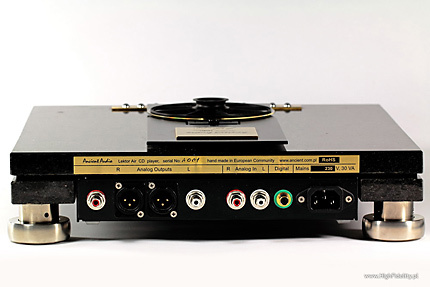 Furthermore, I have listened only to three players that sounded clearly better – Jadis JD1 MkII+JS1 MkIII, Reimyo CDT-777+DAP-999EX and last but not least Lektor Grand SE from the same Ancient Audio. There may have been a few more better sounding turntables. Replacing Prime with the Air has been a huge step forward for me. The sonic signature still stays within certain boundaries Jarek Waszczyszyn created for all his products, but this time the new integrated CD Player from this amazing designer comes much closer to the twice more expensive, three-box Grand SE. Surely, it's not the same level but the leap forward is huge and the difference isn't that big anymore. My own Air was a bit different from the very beginning. Previous experience with replacing capacitors in Prime and Grand for V-Caps told me to order my new Air already „V-Capped”. Ancient Audio had been using V-Cap TFTFs (capacitors with teflon film and tin foil) for years. But Mr. Chris VenHaus from VH Audio, a company that owns the V-Cap brand, prepared his newest hit – CuTF capacitors ( Copper Foil Teflon Film) and these were a part of this project from the start. Another upgrade, comparing to standard version, also suggested by me, was replacing brass spikes with Cerapucs from finite elemente. I also asked for rhodium-plated Furutech sockets that fitted better with my interconnects. 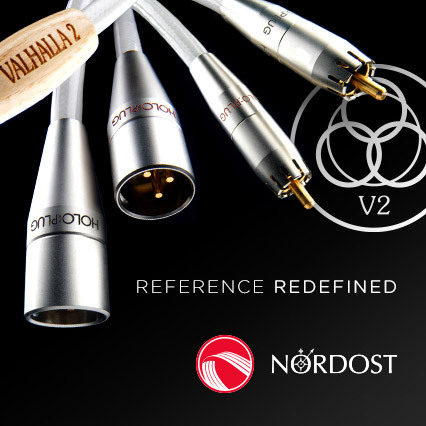 Standard ones come from Neutrik and are not popular among some audiophiles, but highly regarded by others, Mr. Waszczyszyn included. And the last upgrade, that I had already used for Prime – instead of regular CD clamp I ordered a Spider by Electrocompaniet (please read HERE). That's how the new version was created and at first I thought to name it High Fidelity Edition, but as vanity was no virtue I decided to give credit to the key upgrade, the V-Caps, so the final name was V-Edition. Let me repeat, it is not easy to review a device I have already been using for some time, because it became my reference for all other devices I have reviewed since I got my Air. Even if in some reviews, like those of CD Loit Passeri, SACD Player Soulution 540 and 745 (work in progress), but also of some turntables - SME 20/3 and Scheu Analog Premier Mk2 + Scheu Classic Mk2, I might have pointed out some weaknesses of Air I, these were rather exceptions. If you read the above tests carefully, you will see that I did my best to be objective and I wasn't afraid to point out Air's weaknesses. In principle, my conclusion was that the best sources, both digital and analogue, were capable of delivering richer, deeper sound. Don't get me wrong – Ancient's player was great, outclassing all other players from its price level, but could not compete against more expensive ones (as Prime many times did). It proves that Jarek Waszczyszyn's competitors made a huge progress, and that there is still some room for improvement even among the top level CD Players. So I was really surprised when I started to listen to this new Air, to be exact to its standard version that now would be delivered to customers. The player sounded different than my “first” Air. Surely, its sonic signature was similar but this time it sounded a class better, perhaps two classes better. The sound of V-Edition Air is now (that's the upside of small manufacturers – designs are not “finished”, as they might be improved after some time) extremely deep and smooth. What bothered me before – that sound wasn't rich, full enough, especially in lower midrange and that cymbals were not tangible enough (but only against the best turntables) – all that is gone. But those changes didn't make Air's sonic signature similar to, for example, the Loit. Comparing it with this new Ancient Audio, the Passeri might now sound a bit... colored. Although midrange volume and timbre is similar, yet in fact Air delivers more natural sound, closer to what I know from my studio recording experience, closer to an analogue tape. I could call this sound “totally analogue” but what I mean is the sound you get from analogue tape rather than from vinyl. The latter, although in my opinion still the best medium for music, has its own problems that are not shared by tapes.